Do you own Battlefield V? 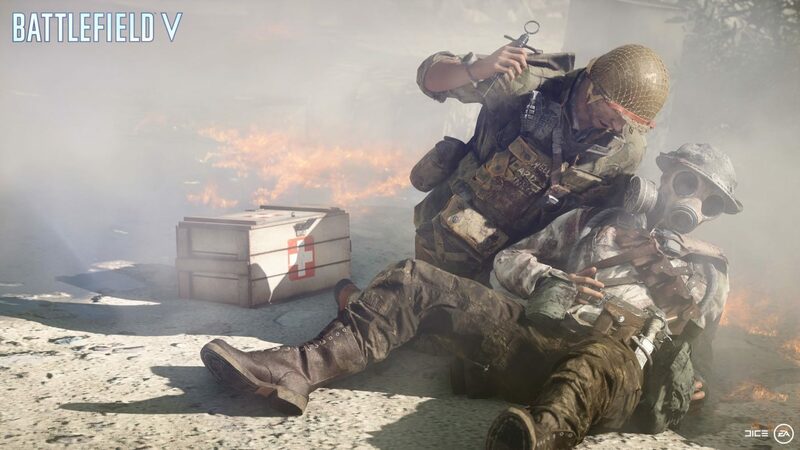 Have you bought the last few Battlefield games made by DICE? If so, you’ll be glad to know that EA is offering a 50 percent discount on Battlefield V for those who own Battlefield 1 and Battlefield 4! While some might see this as a good deal, a lot of people in the Battlefield community aren’t happy given that most of them paid full price ($60) for Battlefield V when it launched, just two weeks ago. Over on Reddit, the main Battlefield subreddit have multiple threads of people angrily complaining with EA’s latest marketing promotion since they paid full price for the game. Some are even clamoring for a class action lawsuit with what has transpired. Is this a sign that Battlefield V sales aren’t performing as well as EA would have hoped and this is their way of hiking the player base up? Maybe, or maybe it’s just a marketing move by EA to ensure long-time Battlefield veterans jump ship to the newest title in the series. Of course, you can’t fault those who are angry for paying full price given we’re just 15 days from launch. 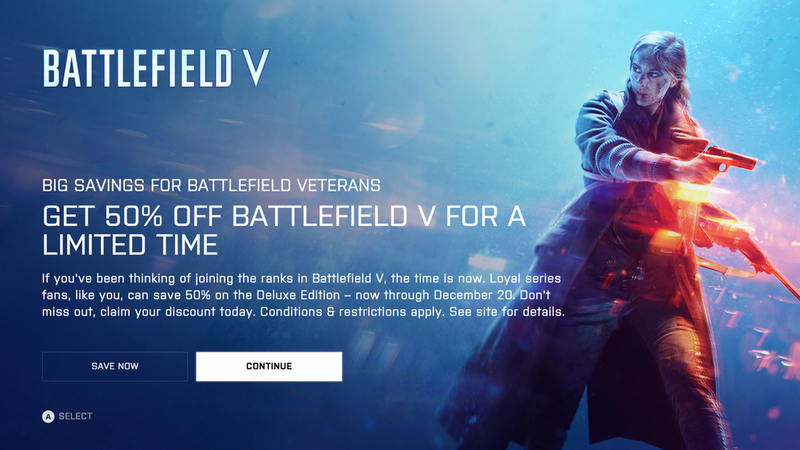 Are you OK with this marketing move by EA or do you feel that EA and DICE needs to compensate those who bought the game at full price when Battlefield V launched? Let us know your thoughts in the comments below. In other Battlefield V news, go check out what’s been added and changed in today’s major patch that brings in the Overture content to the shooter.